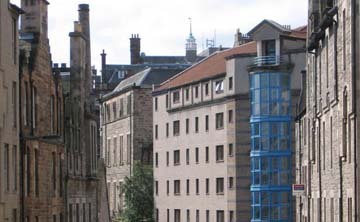 This site, owned by the University of Edinburgh, was ideal for a student housing project providing much needed accommodation. The design exploits the sloping site to supply underground, but naturally vented, car parkng spaces for University staff with student flats in a courtyard from above a plinth. 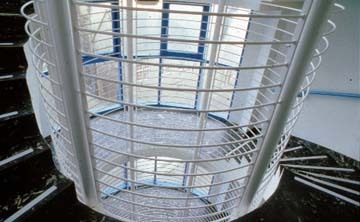 The scheme, a Post Modern composition, was much heralded in its day. 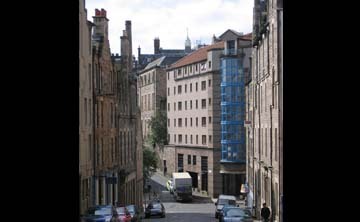 This was the first of many projects that Burrell undertook along the Cowgate corridor of Edinburgh - a much negelected street described by Charles McKean as the 'underbelly' of the Old Town.